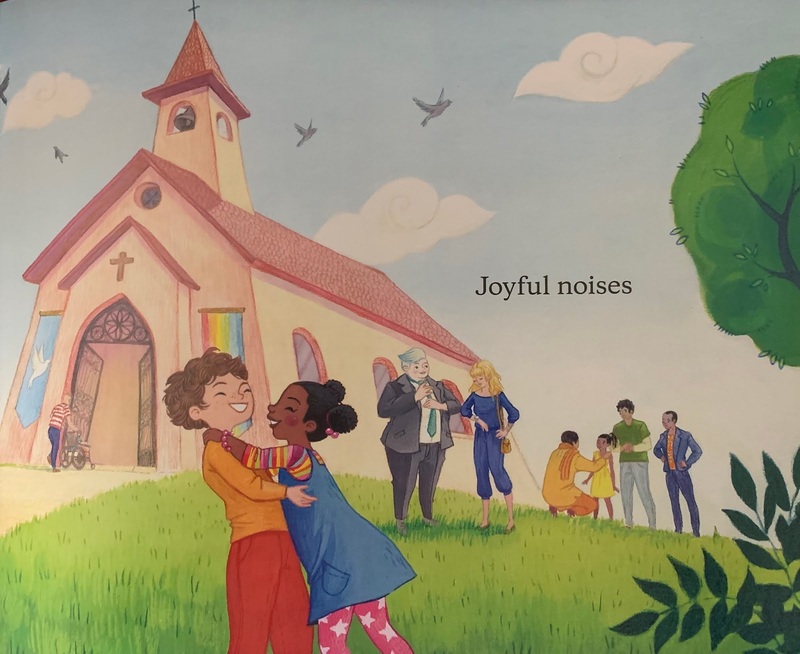 Picture Book Theology: Are All Welcome at Your Church? Are All Welcome at Your Church? Don’t read either of these 3 books to your faith family unless you are prepared to talk honestly about whether your faith community, without judgement and with fears in check, is willing to welcome anyone and everyone. Summary: In simple rhyming verse, an inclusive worshiping community is celebrated. This book starts with a panoply of people anticipating a gathering at their church, a church for all. There they find joyful noises, laughing voices, weak and healthy, plain and dressy. All are embracing and "The Spirit is gracing," even the wailers and the wigglers. This church is full of "hearts believing" and "hearts accepting." Hanna’s Comments: Inspired by a visit to Glide Memorial Church in San Francisco, this picture book is a challenge to all churches who call themselves welcoming and open to all. Visually it is full of diversity, a loving and active sort of diversity. People who are young, old, gay, straight, physically able and not, and who have other differences are not just included but are the heart of this godly community of Christ. The sanctuary of the church is shown with posters of progressive messages all over the walls. This is not your grandfather's church! Scripture Connections: Any scripture in which Jesus crosses societal boundaries such as conversations, meals, and the healing of women, tax collectors, and gentiles. Idea(s) for Application: Read this book to a group of preschoolers and older. Encourage them to consider this vision of church and how your church is similar or different. 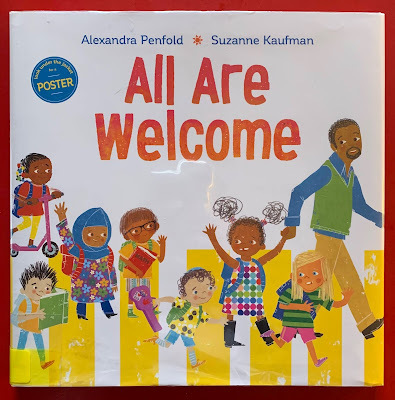 Summary: This delightful story is all about a diverse classroom where everyone is welcomed and encouraged to grow. More importantly, it is a place where fears are lost and hope is found. Music, art, and stories are explored and celebrated together. No one is left out. Even bread is served in all its cultural diversity. The text emphasizes that strength is found through diversity so that these children learn from each other and enjoy time together. Hanna’s Comments: Despite this setting being in a classroom and a neighborhood, there are many parallels to church, particularly in the text. When we enter a church, what we want are our fears lost and hopes found. We want to sing together and tell some stories – Bible stories and personal stories. Two fun bonuses: The center is a big fold out page that captures the glory of diversity. The inside of the book jacket is a poster! 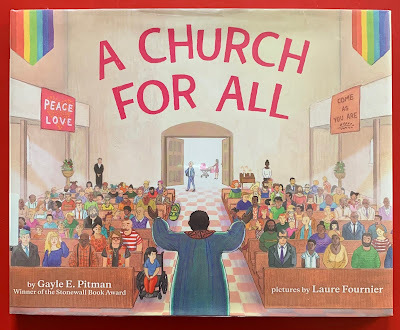 Idea(s) for Application: Read this book to a group of elementary-aged children and talk about how your church compares with this classroom and neighborhood. 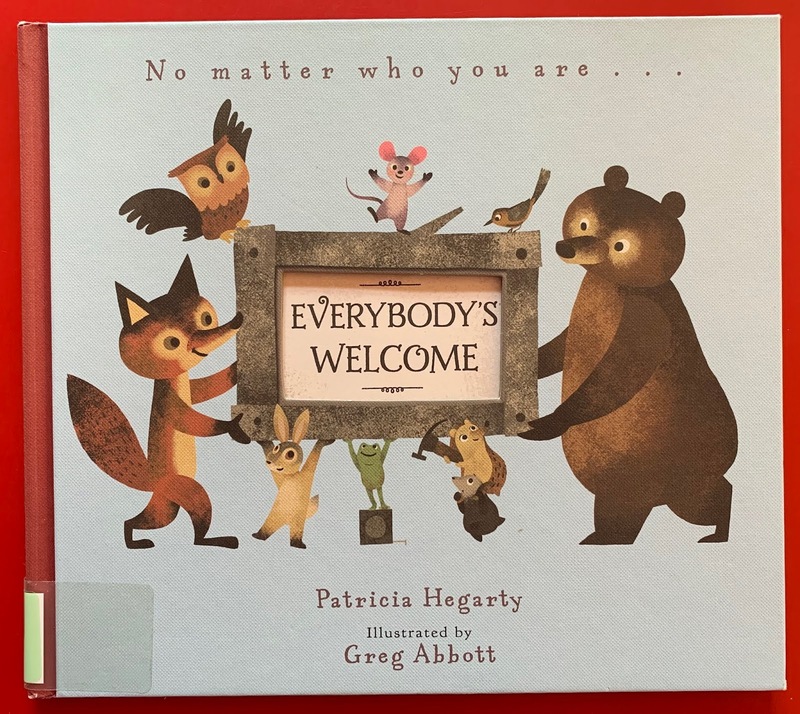 Summary: This story begins with one little mouse who is determined to have a “great big happy house.” The mouse encounters a series of animals in distress and invites them to help build a home they will live in together. Some animals have had homes destroyed. Some have been chased from their homes. One bear just doesn’t fit in anywhere. He scares others because of his great size. A snail arrives very late but is welcomed just the same. All need healing and want a home that is secure. I couldn’t help but think of parallel human stories of folks walking into the doors of a worshiping community. Some of these characters' troubles are directly linked to scripture. Think Jesus healing the woman with the issue of blood (does she have a home or community?) or the man who is mentally ill and living among the tombs. The snail is like the workers in the vineyard who arrive late but are still generously rewarded. Lots of connections here! Hanna’s Comments: Here you have a metaphor for church or any community where Christ is the center. My favorite aspect of this story is that news of these animals’ work and manner spreads and more animals come to be healed and included. This is what’s happening at my church. Every Sunday I see new faces who have been hurt by the church. They enter with trepidation but are eager for acceptance and longing for love meaning. It feels so good to greet them and tell them they are welcome. 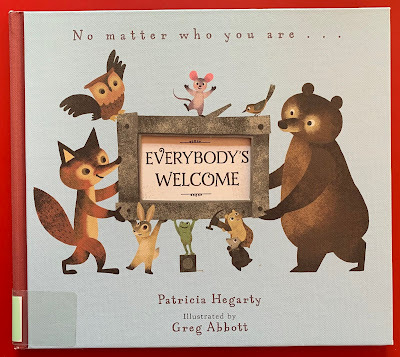 Idea(s) for Application: Read this book to a group of children and help them imagine people who are like these animals, longing for a new church home. Then talk about what it looks like when a church community is a place of healing, safety, and stories.